Buttock tree is in full bloom again. The following benefits are available throughout the exhibition period.�@ Ticket with signature is valid only for the person who signed. Please bring your identification on reentry. �A We send you newsletters by e-mail. 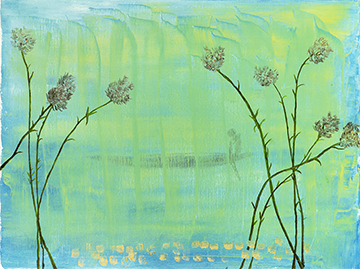 �B You can join the WATARI-UM MEMBERSHIP by discount. Do you know a film called "Stranger than Paradise" (1984, directed by Jim Jarmusch) which gained attention with its offbeat image and music in the early 1980s? 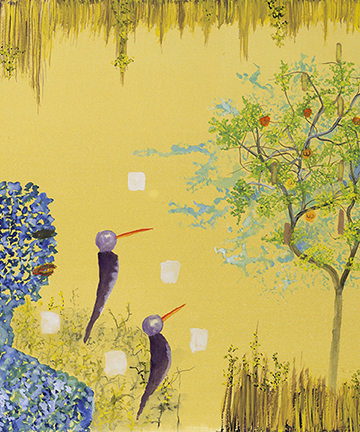 John Lurie (born in 1952, in USA) who holds an exhibition this time at WATARI-UM, played a leading role in this movie. He appears in the film as a dull, but somewhat a cool guy earning his living by gambling in New York. The whole black-and-white movie showed in a bland tone, real faces of the young people in New York when they were excited over the "I LOVE NEW YORK" campaign. 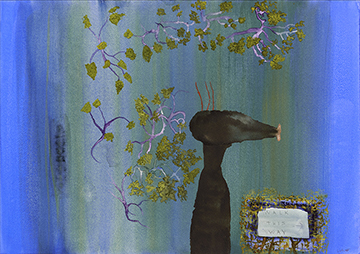 John Lurie was also in charge of music in the film and the uncomfortable jazz made the image more impressive. 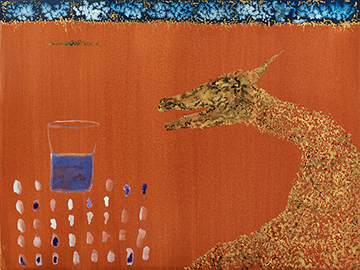 He came to earn attention as an actor, and also a member of the Lounge Lizards, which he himself described as a fake jazz band. 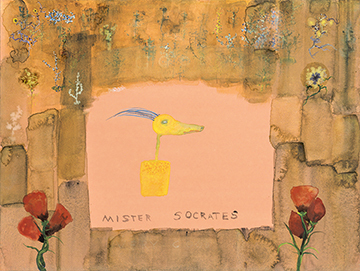 In the late 1990s, however, he suffered from intractable Lyme disease and disappeared from the world of cinematography and music to change his appeal to painting. 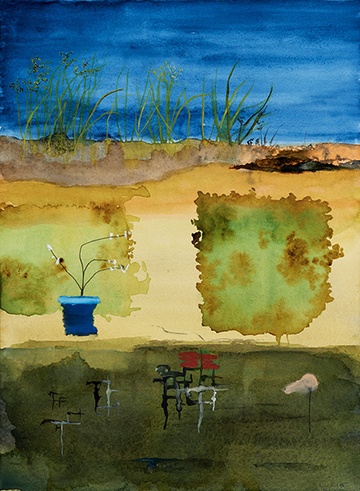 He used to paint with Jean-Michel Basquiat, and as expected his technique is outstanding. 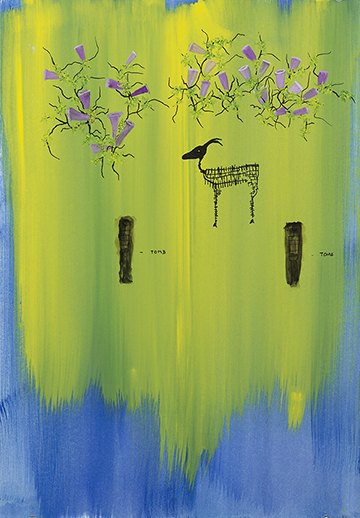 The world expressed by John Lurie seems like a beautiful dream at a first glance, but on the other hand he has put keen sarcasm in it; animals in the paintings seem small and weak, but in fact have a free joy at their own pace. 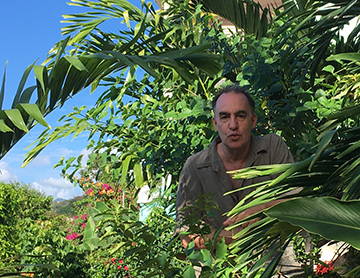 In recent years, John Lurie spends most of his time on an island in the Caribbean Sea and more and more, nature with plants and animals has come to appear in his work. 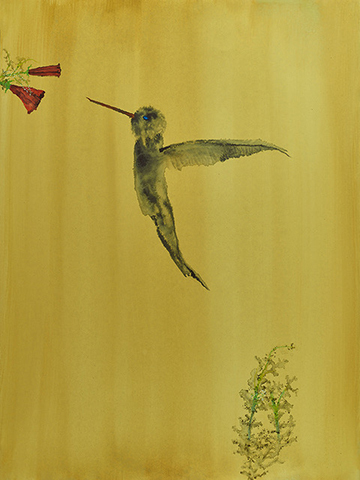 This exhibition is the second time in WATARI-UM since the first one in 2010. 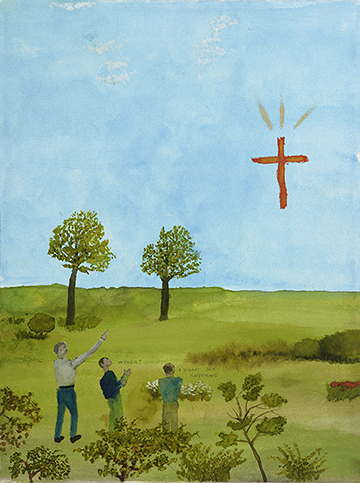 Today, absurdity is increasing in USA and in also Japan. 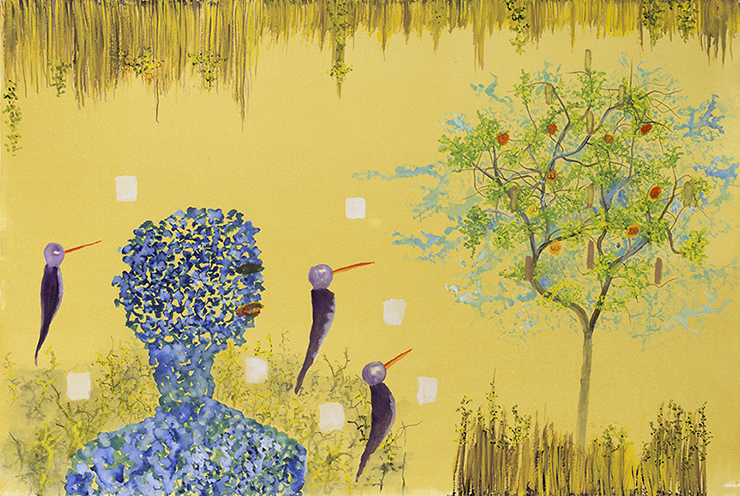 Now is the time we hope you to feel John Lurie's free and anarchic world in this exhibition.